Offering you a complete choice of products which include shikakai, reetha, neutral henna, amla fruit powder and neem powder. About: Shikakai fruit(Acacia concinna) has been used for hair care for centuries in India. It has been considered a prime hair cleanser in Ayurveda. 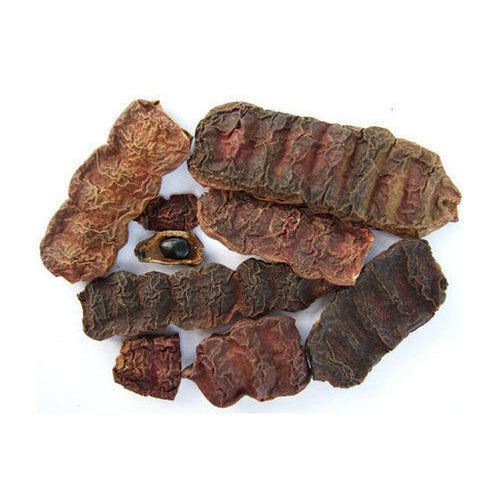 Dried Shikakai pods can be used whole or made to fine powder. Shikakai cleanses scalp, nourishes hair and imparts shine. For soft and silky hair, without harmful chemicals or product build up, shikakai should be used regularly to wash hair. Shikakai contains saponins which makes it a mild cleanser. It adds volume to hair and makes them easier to maintain. Shikakai strengthens hair and reduces hair loss. Dried Shikakai pods can be soaked in water overnight and boiled in morning. Once cooled and strained, this water can be used a mild cleanser. It can also be soaked with dried Amla and Reetha which makes good natural shampoo. Shikakai powder can also be used instead of pods. Shikakai infused oil can be used on scalp to provide nourishment and get rid of dandruff. Packaging: We offer Shikakai pods/powder in various sizes and variants. According to customer’s preferences, it can be mixed with other herbs. Shikakai can be packed in jars and pouches of various shapes and sizes from 50 gms- 500gms. 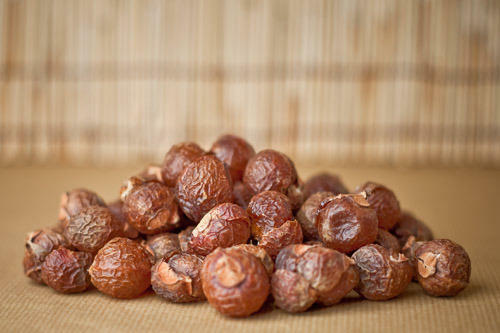 About: Reetha (Sapindus mukorossi) also known as soapberry or soapnut has been used for centuries as a cleanser in India. It is a natural surfactant due to high percentage of saponins. Reetha is antifungal and anti-microbial too. It gently cleanses hair well without stripping natural oils. Continuous use of Reetha conditions hair and makes them shiny. Reetha cleanse hair without taking away moisture and oils from scalp. Reetha makes hair shiny and lustrous. It helps in getting rid of dandruff and flaky skin. It strengthens and conditions hair. Regular use of Reetha makes hair soft and strong without harmful chemicals. Dried Reetha pods can be soaked in water overnight or boiled for some time. Cooled and strained reetha water or paste can be used to wash hair. 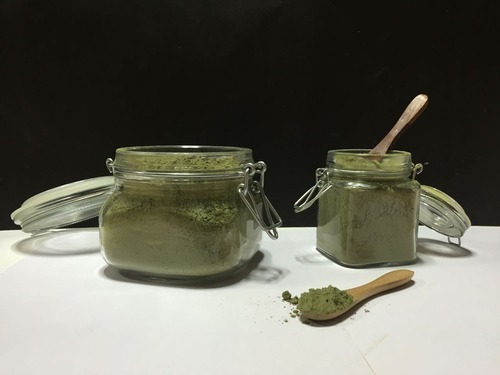 Reetha powder can boiled in water to make hair wash.
Reetha, Amla, Shikakai together make great hair wash.
Reetha water can be mixed with Aloe Vera gel to make anti-dandruff and moisturizing shampoo. Packing: We offer Reetha pods/powder in various sizes and variants. According to customer’s preferences, it can be mixed with other herbs. It can be packed in jars and pouches of various shapes and sizes from 50 gms- 500gms. Neutral Henna (Cassia Obovata) is perfect hair conditioner. It has all the conditioning benefits of Henna (even though it is not related to Henna) without giving out any colour. It makes hair strong, thick and glossy. It might give subtle yellow tint if allowed to stay on hair for too long but it’ll hardly show up on dark hair. Neutral Henna provides deep conditioning to hair and makes them soft. It prevents split ends and rough hair. It repairs dull and damaged hair and makes them healthy. It adds volume and body to hair without weighing them down. It gives great shine to hair. Continuous use of neutral henna results in long, lustrous locks. Put Neutral Henna powder into a mixing bowl. Stir in filtered water a little at a time while mixing, until it is the consistency of yogurt. The mixture should not drip from the spoon but should still be easily spreadable. Apply immediately to your hair after mixing. Wrap hair with plastic wrap or put on a shower cap. Leave in hair for 30 minutes or 1 hour. Unwrap your hair and rinse with water only. For optimal results, should be repeated monthly. Packing: We offer Neutral Henna powder in various sizes and variants. According to customer’s preferences, it can be mixed with other herbs. 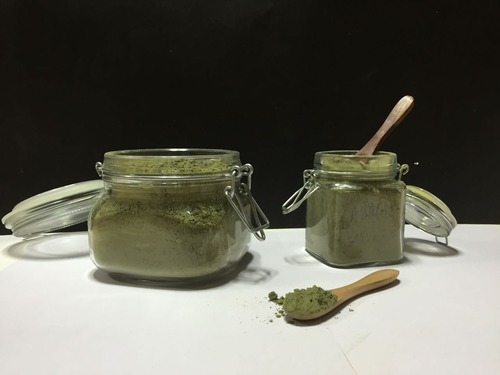 Neutral Henna can be packed in jars, pouches of metal/glass/plastic in various shapes and sizes from 50 gms- 500gms.Private labelling: We offer logo printed labels and customer’s desired packaging. We use automatic SS make milling machines, automatic SS filling machine lines, automatic SS make labeling machine, automatic machine filled bottles for innovative packaging. About: Amla (Phyllanthus emblica) is a great solution to hair fall and premature greying problem. Amla fruit is rich in Vitamin C and full of antioxidants. Amla can be added in natural cleansers, rinse or infused in oil. Amla is a tart fruit grown in India. It has been considered one of the prime hair nourishment in Ayurveda. Amla makes hair strong and strengthens roots from within. Amla is full of Vitamin C which strengthens hair roots and cuticles. It makes hair stronger and less prone to breakage. Amla helps maintaining melanin level in scalp which prevents premature graying. Amla is full of antioxidants which help in getting rid of free radicals. They repair harmful effects of aging on hair. Amla conditions hair and imparts shine. Amla helps in cleaning hair of dirt and oil. Amla juice taken daily can prevent hairfall and make roots stronger from within. Hair oil can be infused with Amla through various methods involving low or no heat. Regular use of these hair oils will prevent pre mature graying and make hair stronger. Dried amla can be soaked overnight and water can be used in addition with soapnut and shikakai as natural hair cleanser instead of shampoo. Amla infused water can be used as a hair rinse. Dried amla powder can be added to hair packs. Amla powder can also be added to henna while soaking to intensify colour and provide strength. Packing: We offer amla dried/oil/powder/ in various sizes and variants. According to customer’s preferences, it can be mixed with other herbs or blended with other oil. Amla oil can be packed in glass or plastic bottle of different sizes (50 ml. -500 ml.) with metal or screw cap. 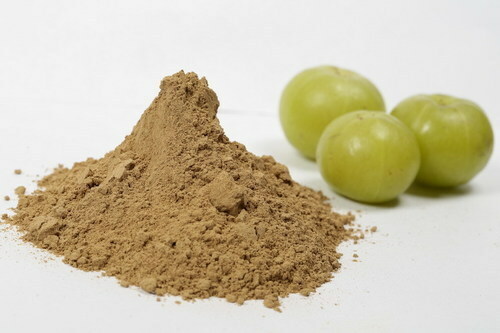 Amla powder, dried amla can be packed in jars, pouches of metal/glass/plastic in various shapes and sizes. Private labeling: At Gingerly, we offer a range of premier product which can be combined with any of our blends to create unique personal care or amenities for clientele. We can also customize further by adding essential oils and/or herbal extracts and choosing packaging to reflect your own brand. About: Neem helps in keeping scalp healthy and to promote hair growth. Neem soothes and heals scalp while getting rid of dandruff and controlling sebum production. Neem help in getting rid of itching and flaky scalp too. Healthy scalp results in better blood circulation in scalp and healthy hair follicles. Neem prevents hair falls and strengthens hair roots. Neem leaves can be boiled in water to make hair rinse. Looking for “Hair Conditioning and Shine”?